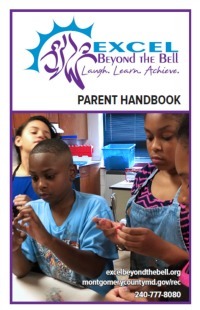 For your reference, we have combined all of our Excel Beyond the Bell publications along with other Out-of-School Time (OST) publications in one place! 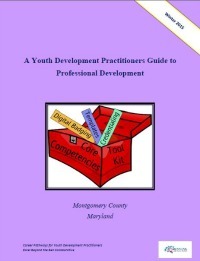 What's In Your Toolbox?--powerpoint from 3/19/15 webinar. 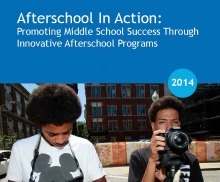 This resource directory is intended to serve as a comprehensive directory that identifies over 50 organizations offering resources and tools on afterschool system building. 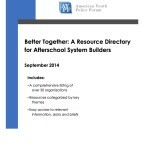 We recognize it is difficult to know and stay on top of the ever-evolving list of national organizations and their work, thus we have attempted to catalog the leading tools, information, and resources. 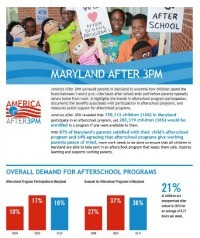 documents the benefits associated with participation in afterschool programs, and measures public support for afterschool programs. 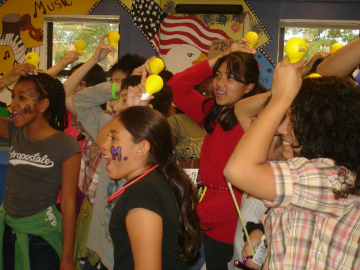 There is growing recognition that OST is important not just for elementary school students, whose parents need supervision for their children when they are not in school, but also for middle and high school youth, whose participation in OST programs can help keep them connected to positive role models and engaged in their education at a time when many are beginning to disengage from schools.